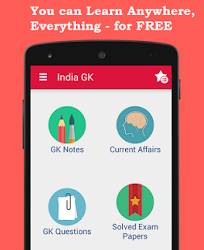 3rd, 4th February 2017 Current Affairs MCQs, Quiz, Questions: Current Affairs for February 2017, Daily Multiple Choice Questions (MCQs) for India GK, World GK and current affairs with Collection of daily objective type Question by www.Indiagk.net based on General Knowledge (GK) and General Science (GS) Questions for UPSC, State PSC, SSC, Police exam, Railway exam, SBI, Bank PO, IBPC, SSC, LDC, UDC, Army, Airforce, Navy, Coast Guard, Bank Clerk, TET and all entrance examination with current affairs News, Multiple Choice Questions (MCQs) available on Website www.IndiaGK.net and Android Apps with daily updates:. Which Indian player becomes World No. 1 in latest BWF World junior ranking? Union Budget 2017-18 has introduced SANKALP which stands for? As per the budget, a dedicated micro-irrigation fund for More Crop Per Drop will have an allocation of? Who becomes First Woman to Win the Nobel Prize Of Math?